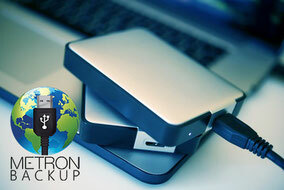 Metron Manual Backup | Verifying your files are backed up. Sometimes it is all about the backup....first knowing you have one...then trusting that it is complete...then understanding it is current. So many practices are already taking advantage of the Metron Manual Backup Service. We want you to understand how you too can: verify that your Metron images/files are safely backing up to your external drive, and how often you are successfully doing so. 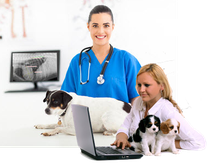 Depending on how many images you take in your practice, you may want daily backups, while others tell us to expect weekly backups due to the mobility of their practice. Your external backup drive must be connected to run the backup successfully. Click the Metron Manual Backup icon on your desktop and follow the on-screen prompts. Be patient. Do not click on the icon again once you have started the backup. So how do I check the date of my Metron files backup? Go to your PC and select the Drive which represents your external backup drive. In this example it is Drive E:\. 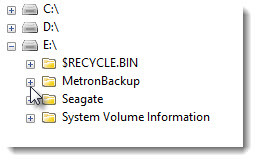 Within this drive, you will see a folder titled: MetronBackup. Open this folder, and inside you will find a Logs folder. Click that open and you will see the dated folders representing each day you ran a successful Metron Backup. Your folder look/setup is based on your Microsoft Windows date preferences. The example shown is Year-Month-Day. 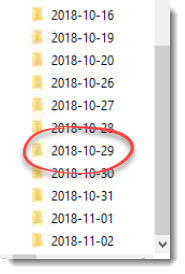 Just remember, each folder represents the date of the backup only. Your Metron images/files ARE NOT located inside these folders. All your Metron images and settings are located on your external backup drive in the Epona folder. 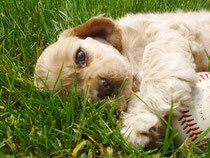 Do not yet have the Metron Manual Backup Program? All you need is an external hard drive - typically 500GB is large enough and these are priced around $60 at electronic local stores. Then contact your Metron Support Services Team and we will get you set up. How do you qualify for this free service? 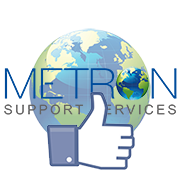 As an active Metron Support Services client with support, you re qualified!